Recently the Airblast Group and Blastman Robotics Ltd. received several orders from customers in the Benelux for the installation of a blast room and/or a blast robot, model B20CX. 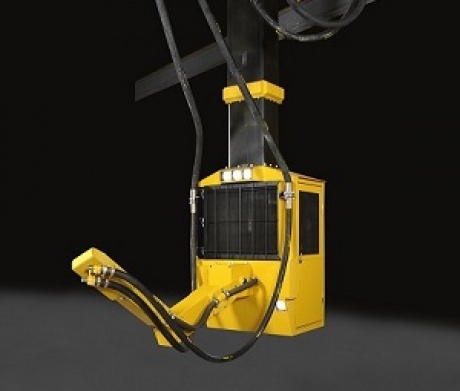 Blastman B20CX is a 8-axis roof-mount blast robot with the control cabin. The blast robot is designed to replace manual blasting and suits perfectly for non-serial and serial productions. Blast programs for automatic run can be easily made by recording the manual run. For more information visit www.blastman.com. For one order the dimensions of the blast room are 30 x 10 x 8 meters. For abrasive recovery a full scraper floor will be installed and both sides will be fitted with electric hoist up doors specially made for blasting operations.